Muskoka Stay N' Play Tours is a business offering full accommodations in our newly renovated 2,500 Sq. Ft. historical 5 bedroom, three bath cottage. We're situated in Bala, just 2 hours north of Toronto and right in the heart of Muskoka, practically touching the O.F.S.C snowmobile trails. They offer various tour packages including lunch, accommodations, snowmobiles, ice-fishing, snowshoeing, ice skating (tobogganing for the kids) and cookouts, all hosted by a seasoned local and our company founder; Darren Scott. Their cottage also features a large 20' stone fire pit overlooking beautiful Lake Muskoka, which makes for an amazing spot to relax with your friends at the end of your adventure, around a cracking fire. They also offer special Christmas, new years eve, stag parties and business packages. Their guides will make sure you and your group will have an amazing experience during your stay. All of our packages include the equipment and guidance to ensure your trip is a memorable one. 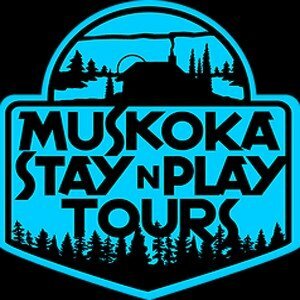 Muskoka Stay N' Play Tours operates from Dec 15 through March 31, weather permitting. Check-in and Check-out times can be flexible, so ask us about our scheduling to suit your needs. - Appropriate Clothing for the outdoors. - Fishing Licence Required between ages 18-65. Ask them where you can purchase your fishing licence. -Drivers licence (Must be 18 Years of age to operate snowmobiles). -And don't forget your camera!